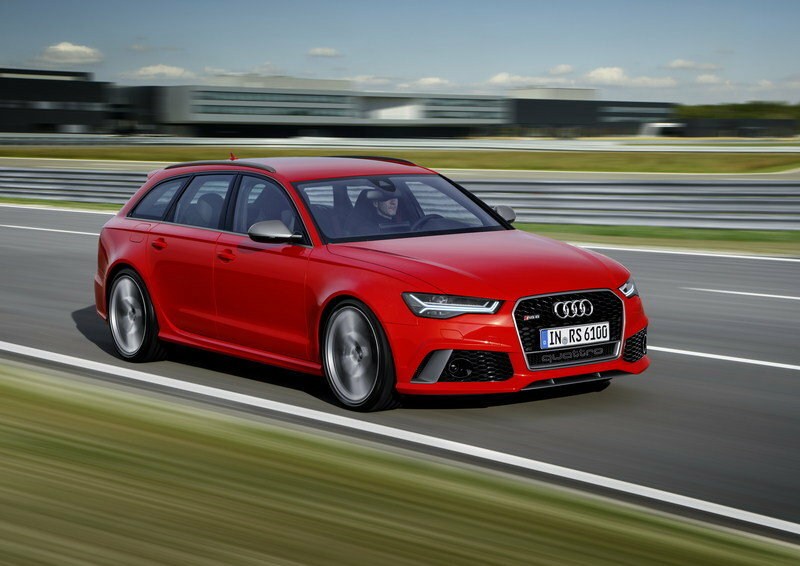 Note: Current Audi RS6 Avant Performance pictured here. 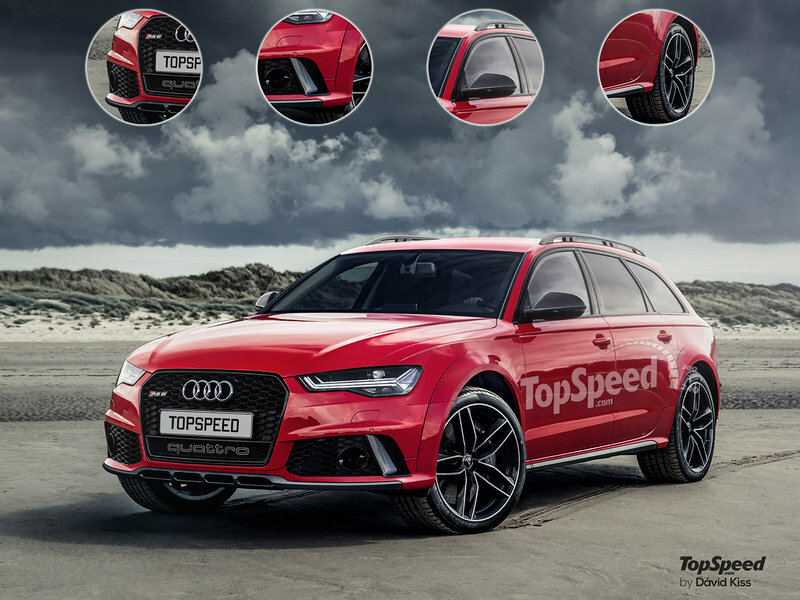 As you can see from the rendering, most of the body is identical to the RS6 Avant. On the side, the same body lines run from the front to the rear. The wheel arches will probably extend out from the body a little more than you see on the standard RS6. This will help shield the body should the car travel onto rough or loose terrain. 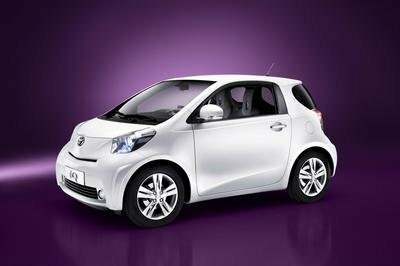 Up front, the nose will remain mostly the same with identical headlights, fog lights, and body lines. The air intakes and corner vents will also remain the same. Plastic cladding has been added to the front lip and side skirts for additional protection. The rear fascia and diffuser should get the same treatment. I don’t see the interior of the RS6 Allroad departing too much from RS6 Avant – considering it shares a common body style, most of the interior design will probably be the same. On a side note, all the similarities with the Avant are probably why Audi can afford to release another new model this year. It doesn’t cost much for research and development when you can borrow a majority of needed components from your own stable. 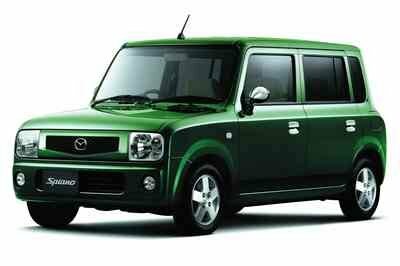 That said, the interior may be a bit more rugged, considering the model is technically designed to be driven on and off the road. That means seat leather may be thicker and more rugged, and there may even be rubberized floor mats on the floor boards. I still expect to see Alcantara for seat and door trim inserts, and carbon fiber should grace the center console and dashboard. The same infotainment system from the RS6 Avant will likely carry over, but the screen size may be updated for this new model. The chassis is where the RS6 Allroad will differ from the RS6 Avant. I suspect the Allroad will use the same 4.0-liter V-8 that puts out 552 horsepower and 516 foot-pounds of torque – clearly more than enough to cover any terrain. 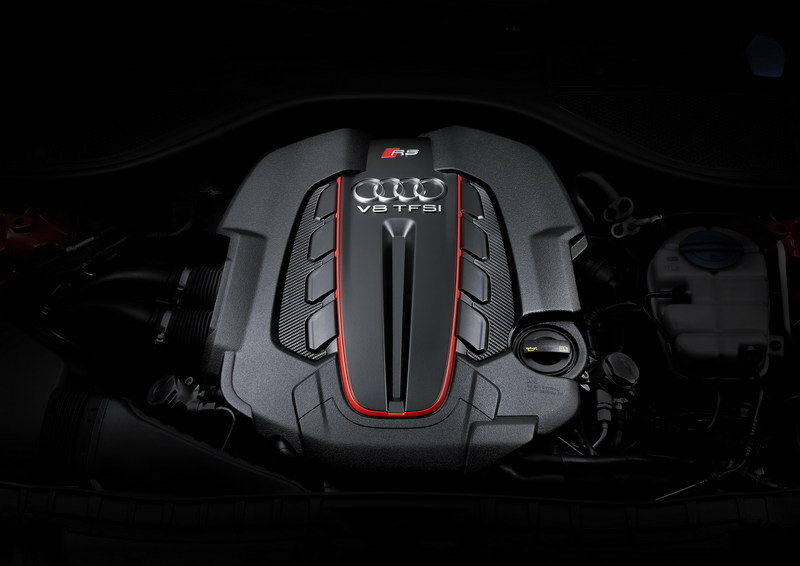 That V-8 will mount to an eight-speed transmission that will push all that power to all four wheels. Then we get to the chassis, and this is where things get fun and that “Allroad” designation comes in. The suspension will be beefed up with stronger shocks and springs, effectively raising the car’s ride height by a couple of inches in comparison to the Avant. Also, since the Allroad must be able to conquer a number of different terrains, Audi will add underbody panels to protect the chassis, engine, and transmission. To even think about pricing of a rumored model seems a little out there, but we can compare the pricing between the A6 Avant and A6 Allroad to get a rough idea. Currently, moving from the A6 Avant to the A6 Allroad will set you back an extra 14,300 Euro ($15,361.) You can likely expect a similar jump between the RS6 Avant and the RS6 Allroad, should it become a model. The RS6 starts out at 110,980 Euro ($119,220,) so I would expect an RS6 Allroad to start out around 124,000 euros, or $133,207 at current exchange rates. Of course, none of this may matter, as some rumors suggest the RS6 Allroad would be focused on the Chinese market. Currently, a model like the RS6 Allroad doesn’t have that much to compete against, but Mercedes may be up to the task. So far, the car itself doesn’t have an official name, so we just all it the “Allroad Competitor.” Our rendering of the “Competitor” was based on the knowledge that Mercedes was considering unleashing a competitor for the A4 or A6 Allroad. But, if Audi does deliver on the rumored RS6 Allroad, you can beat that Mercedes will turn its attention to that as well. 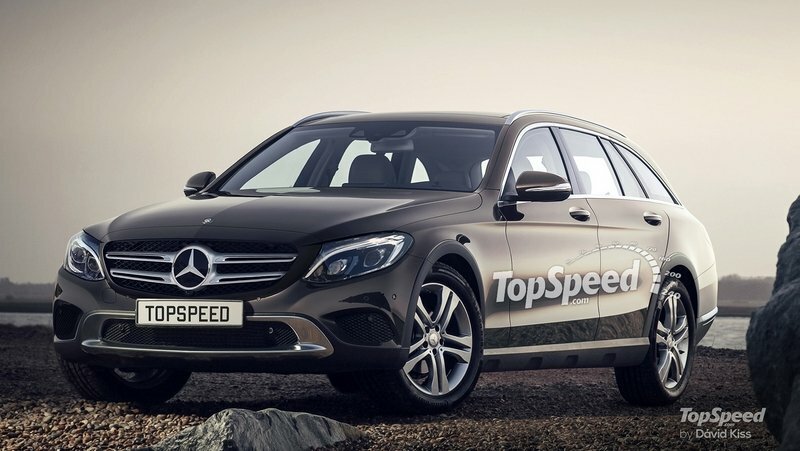 Our guess is that the “Competitor” will be based on the C-class or E-class, with myself favoring the E-class. 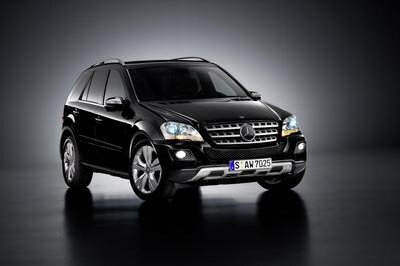 Such a model would probably carry an AMG badge and would be powered by the something like the 5.5-liter V-8 that powered the 2014 Mercedes E63 AMG. The car should pump out somewhere in the range of 550 horsepower and closer to 600 pound-feet of torque. If competing against the RS6, I would expect pricing to be in the $130,000 range. Read our speculative review on the 2018 Mercedes Allroad Competitor here. 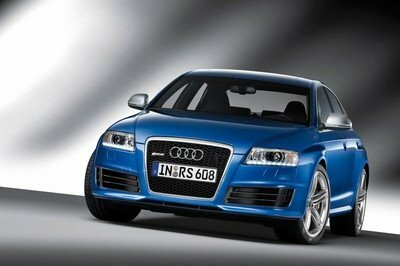 I think if Audi is going to make an Allroad version of the RS6, is should depart a little more from the RS6 Avant. Of course, as Audi would have it, it will probably be nothing more than an RS6 Avant with beefed-up suspension, larger and wider wheels, and undercarriage plates. Aside from those few things, the car will probably be identical. If I were in charge of design, I would change up the look of the nose and the rear a bit. Maybe even throw in a couple of aggressive body lines to symbolize the cars “Allroad” ability.